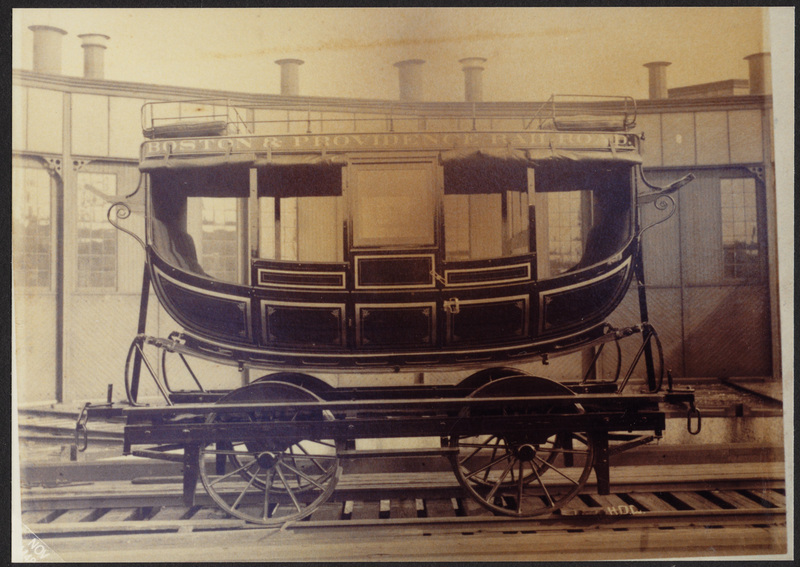 Early railroads were essentially horse-drawn stage coaches on tracks. “Railroad Car,” Digital Public Library of America, http://dp.la/item/8c352b820cf89e43445a2487ddc3b6c5. Courtesy of Fiske Public Library via Digital Commonwealth.